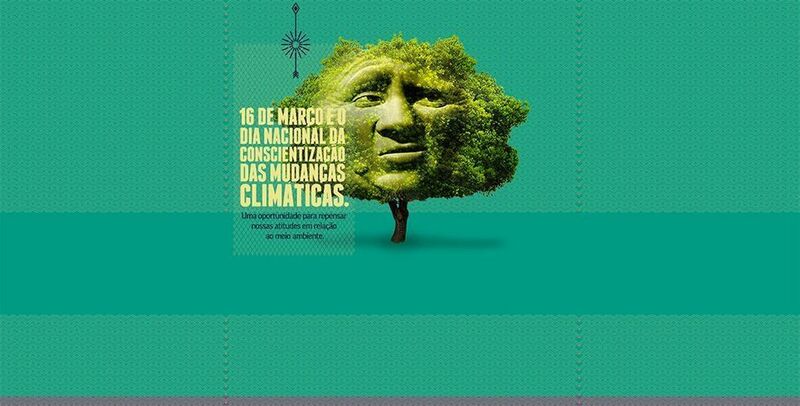 The idea of Feeling Tree is not only celebrating the National Climate Change Awareness’ Week, but also to reach out to the population and talk about those changes and the high pollution rates that harm the city. 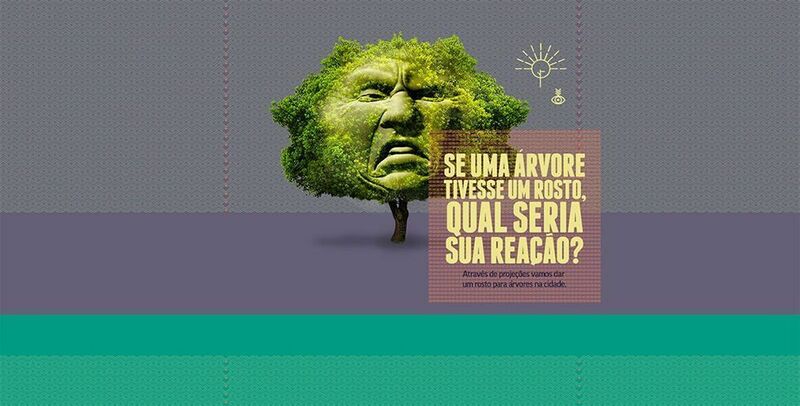 The project was made for the IPÊ (Ecological Research Institute) and designed by Y&R agency. 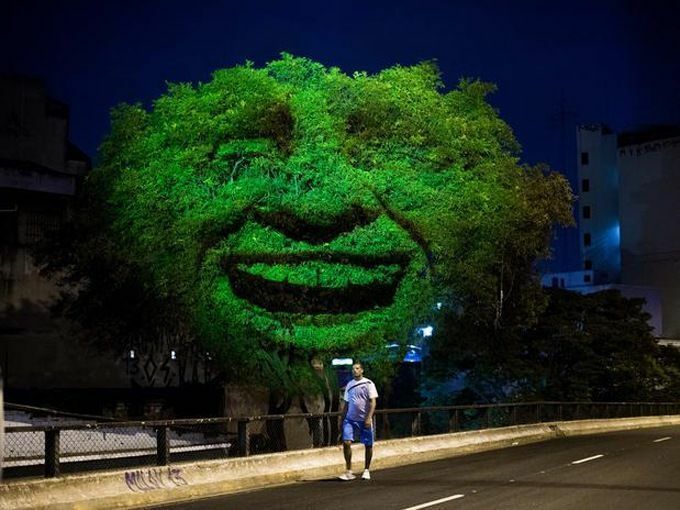 Developed alongside notable companies (Webcore Interactive, Estúdio Laborg, Conspiração Filmes, Croácia, Visualfarm and Vetor Zero), we developed a system that gathered information from CETESB (Environment Company of the State of São Paulo) website and projected videos of 3D facial expressions on trees, according to the local air pollution rate. 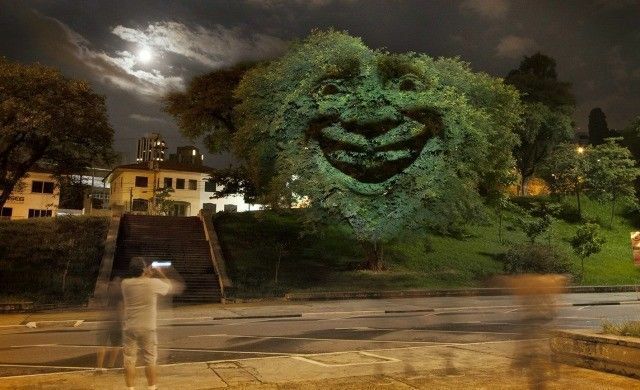 The higher the O2 rate, more irritated and disturbed would be the tree’s expression. Therefore, if the air quality got better, the tree would cheerfully smile. 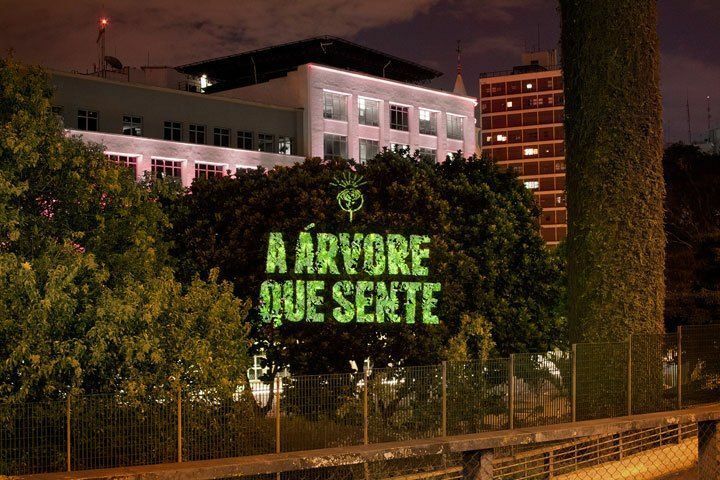 The action was performed at Costa e Silva (Minhocão) and also at the Charles Miller Square in the city of São Paulo, March/2014. 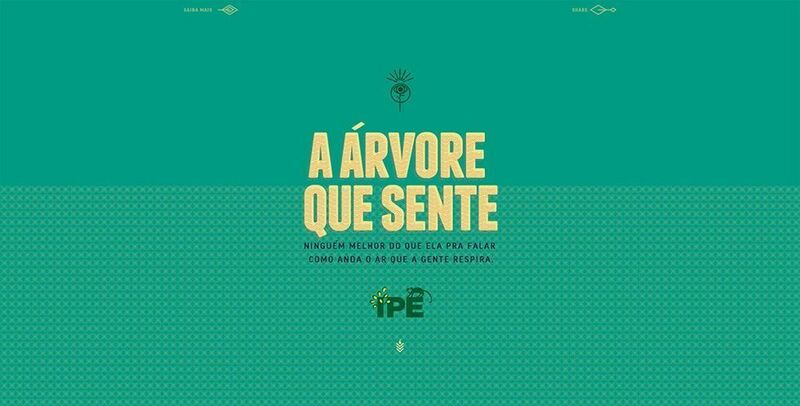 The project won third place at Cannes Lions 2014 at Design category. All pictures belong to IPÊ’s counsel and Estúdio Laborg.